Voices are powerful tools for hope and transformation. Dwelling Place, a local affordable housing non-profit, asked residents and the GRPD why they participated in National Night Out. In 2017, the Heartside Neighborhood held their first National Night Out. According to the National Night Out website, the event is “an annual community-building campaign that promotes police-community partnerships and neighborhood camaraderie to make our neighborhoods safer, more caring places to live.” Dwelling Place, which owns about half of the properties in Heartside, saw the success of the first National Night Out and had a vision to use it as a catalyst to improve resident-police force relationships, and engage their residents in the community. One year later, this vision has transformed into an inspiring project, spanning to over 30 properties, partnering with 14 different neighborhoods, and engaging over 1,000 residents. Coming from all walks of life, Dwelling Place residents embody diversity, creativity and personality. By diving into property-wide engagement, Dwelling Place interviewed three community members including residents in Grand Rapids, Muskegon Heights and a local police officer about their hopes for area neighborhoods. 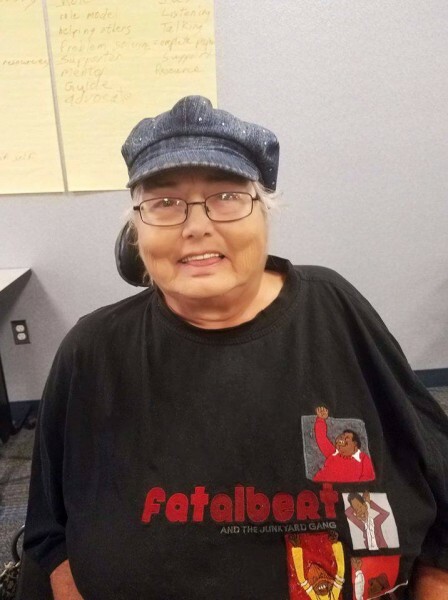 Sharon Benson, Heartside resident since 2001 is an active participant in Heartside Neighborhood Association meetings and an attendee at community events. Benson is an outspoken advocate for wheelchair using pedestrians and homeless neighbors. Q. Do you think there’s a more positive or negative image of the police in Heartside? “The police, it depends on how they react in a situation. I have seen some who react very professionally, and I’ve seen some of them who react like, ‘you don’t count.’"
Q. How would you define a good community officer or liaison? Q. Do you think that just interacting with the residents of Heartside at the event like the NNO could help these relationships? ​Sergeant Atha of the GRPD shares the same table with Sharon at the Neighborhood Association Meetings and Heartside Quality of Life meetings. 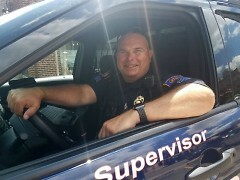 As the Sergeant who oversees the Grand Rapids Police Community Officers in the Heartside Neighborhood, Atha has a unique perspective about the GRPD. Q. How do you see the relationships between the GRPD and Heartside Neighborhood presently? “Presently I see them on a positive uptick due to the officers actually getting out there, and doing it on what we like to call a ‘non enforcement contact.’ That is more of a warning. Not an automatic, ‘well here’s your ticket, you’re goin’ to jail.’ It’s more of an automatic, ‘hey, you work with me I’ll work with you. I understand where you’re coming from, you obviously from this brief interaction understand where I’m coming from.’ We just built that rapport there. ​Q. What do you think of events of the National Night Out, and how do you see them strengthening neighborhoods? ​Q. How do you see the interactions at National Night Out making a positive difference? Q. What would you say to encourage someone to ‘just come talk to you'? 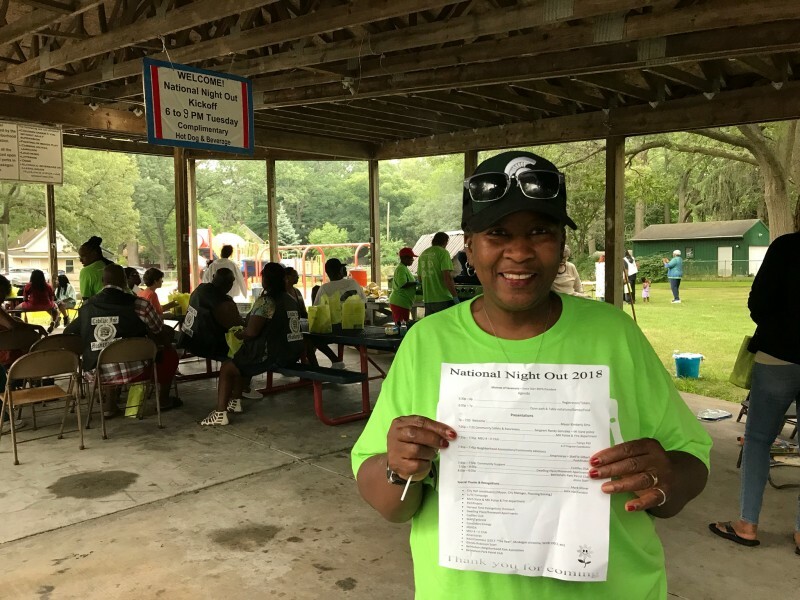 Community Leader, Joyce Staff recently became the president of the Bethlehem Neighborhood Association in Muskegon Heights. 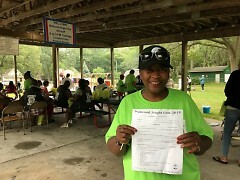 Starr and other Muskegon Heights residents know that Muskegon Heights doesn’t have the best reputation and community leaders utilize events like National Night Out to change that image. Q. What do people say about the Heights? Q. Why do you think it’s important to focus on community improvement in the Heights? Q. What kind of problems do you see right now? Q. You’re hoping for change and transformation in the Heights. What do you see that could bring that? ​Q. Why do you think National Night Out is an important event for the Heights? ​Q. Do you think events like National Night Out can improve relationships between police departments and communities? Residents, police officers and community members all play a part in our community, whether it is as the person who sits silently in the back or the one who works tirelessly for positive change. Engaging a community in a single event, such as National Night Out, does more than bring people together, it allows voices to be heard by others. Whatever part you choose to play, engage in your community, because whether you know it or not, every voice helps to paint the big picture. With a mission to improve the lives of people by creating quality affordable housing, providing essential support services and serving as a catalyst for neighborhood revitalization, Dwelling Place serves families and people in 4 counties across West Michigan. Dwelling Place is powered by volunteers and numerous staff persons, guest writers create our Rapidian content. Special thanks to Amy Henderson, (Musician, writer and sumer Dwelling Place Americorps staff) for her coverage of National Night Out.